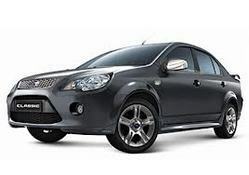 Metro Ford have the following world class Sales Showrooms and state-of-the art Service Workshops, in the interest and for the convenience of Customers in Bangalore and North Karnataka. Want to service your car ? Let us booking a Appointment for you. Fill up the form given below and our Service Personnel will arrange for one, at your own convenience. Want to Test Drive your Dream vehicle ? Fill up the following form and we will arrange for one, at your own convenience. 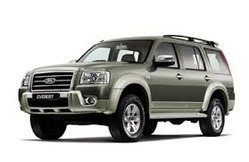 We are sure that you will not be able to resist a Ford Vehicle after driving one! Ensure correct tyre pressure. Under-inflated tyres will make the engine work harder, penalising fuel efficiency. Decrease weight, get rid of all the unwanted items in the car since more weight equals more fuel consumption. Anticipate traffic. Read the traffic ahead of you so that you can maximise the distance your car can go without having to brake and lose its momentum. Drive with a steady throttle while going uphill. Going downhill you may accelerate with a light foot. Don't use neutral while going downhill. Gearshifts are very important. The rpm can't be too high as it will consume more fuel and can't be too low as a lugging engine will also consume more fuel. Keep the windows rolled up. This will reduce the drag. Keep your car and engine well maintained. Preparation before purchasing a car can make the buying process much easier. Once you decide on the type of car you need, it is time to do your research to narrow down the choices. A number of publications and other resources, like the Internet, can provide comparison information rating the vehicles within specific categories. Metro Ford has highly sophisticated Body Shop / Collision Repairs. At Metro Ford, even completely smashed cars are converted into "Almost new" ones using State-of-the-art body shop & paint booth facilities. Car-o-liner - Completely computerised state of the art Collision Repair System. Miracle Collision Repair System for fast & effective minor repairs. Mig and Spot welding machines. Modern paint booth with baking facility. High - tech Jig operation to correct deformities of body, chassis and other structural geometry of accident vehicles. Ford Solutions" Extended Warranty Plan, to give you peace of mind motoring. In the event of something going wrong with your car after 24 month Ford New Vehicle Warranty, you as our esteemed customer can rest assured. The Extended Warranty will give you protection against mechanical and electrical failures. Peace of mind motoring - you are free to enjoy your motoring without unexpected and non-budgeted expenses. Vehicle resale value - increases as the extended warranty can be transferred to the new owner, whenever the vehicle is sold. The extended warranty is available for a duration of either 1 YR/20000 KMS, 2 YRS/40000 KMS (whichever occurs earlier) as you prefer, beyond the regular 24 months/100000 KMS, Ford New Vehicle Warranty. This extended warranty can be bought through your Ford dealer,at any time during the first 24 months of your new Ford Vehicle ownership. The proud owners of Global brands, Ford Fiesta, Ford Fusion, Ford Endeavour and Ford Ikon can service their cars at the Metro Ford Service Centre, which is a state-of-the-art facility. 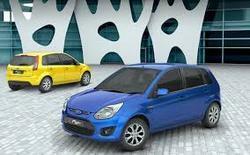 It incorporates the latest equipment and technology and is manned by Ford trained technicians. These qualified, talented professionals lay emphasis on quality of workmanship and can attend to 50-60 cars on any given day. Moreover, a strategically located and well-stocked parts warehouse ensures minimum downtime of cars. An exhaustive library and a comfortable customer lounge, completes the picture. The following facilities at the Service Centre, take care of the complete car. Emission check and certification (with Pollution Control Board's approval). Separate customer interactive reception bay with two post lifts for joint inspection and thorough understanding of every vehicle. Appointment system for personalised reception and prompt attention at the Metro Ford dealership. Extended working hours from 7.30 am to 9.00 pm. Round the clock breakdown assistance- Just call. Hi-tech jig to correct deformities of body, chassis and other structural geometry of accident vehicles. Exhaust gas analyser, head light beam aligner and key cutting machine. 24 hours emergency assistance available - Just call at Bangalore, Mangalore & Mysore on. Service appointments can be made by filling up the Service Booking Form.